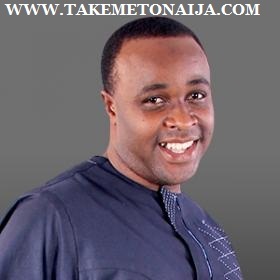 He produced an ultra modern yoruba movie to his credit tittle “IDANWO” in the year 2006. In 1996 however, he won the “THE MOVIE AWARDS” as the “BEST UPCOMMING ACTOR OF THE YEAR 1996″ in Nigeria. He has participated in so many films such as Owoblow, Oba-Elesan,Tojo – terun, Baba – Ologba, Idanwo, Shola fe Pami, Ikan, Aranbada, Agbara Obirin, Mayomi, Ole, Inu, Orija ju Ogun, Ogologo, Fitila, Ile and so many others. Femi who spoke with HVP maintained that the relationship between him and his family is as cordial as what obtains in any happy family. Do you have any regret parting ways with the mother of your three children? I believe in destiny, and I take things the way they come. Marriage is a contract between two parties and in a contract you can have someone breaching the contract. I believe that is how the marriage is destined to end and I am cool with it. In an interview with City People, the actor explained that the marriage broke-up because his baby mama does not really like his profession. Rumored to have been in a releationship with fellow actress Funke Akindele few years back.